As a director Gregory King has mined dark, sometimes darkly comic tales both in shorts, and in award-winning digital features Christmas and A Song of Good. He has also written shorts for other directors (including festival success Brave Donkey) and is developing further features. 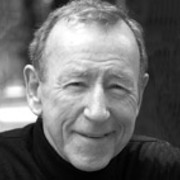 Tony Barry's gravel voice won fame when he starred in 1981 hit Goodbye Pork Pie. By then he already had 30 plus screen credits - including cult 70s sitcom Buck House, and the anarchic Blerta TV series. Barry's busy acting career continues both in his native Australia, and New Zealand. In 2010 he won a Qantas Best Actor Award for his starring role in Gaylene Preston's war tale Home by Christmas. 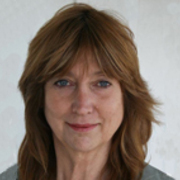 Yvonne Mackay is a prolific director of New Zealand television, whose work has often focused on the arts and projects made for young people. She made history as the director of The Silent One (1984), the first New Zealand feature film directed solely by a woman. These days Mackay runs Wellington company Production Shed TV. 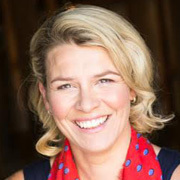 Leanne Saunders’ eye for talent has resulted in producer credits on six features: box office hits Hunt for the Wilderpeople and Born to Dance, Nazi horror The Devil’s Rock, and dramas Desert, The Weight of Elephants and Christmas. She also executive produced a run of successful shorts. 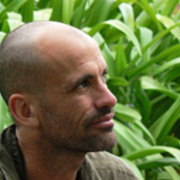 In 2016 Saunders was appointed Head of Production and Development at the NZ Film Commission. After appearing briefly in The Piano at age three, Rose McIver went on to star in big budget fantasy series Maddigan’s Quest while still a teen. Since then she has played one of the passengers in true life train disaster tale Tangiwai - A Love Story, and completed a five season run in American series iZombie, starring as a crime-solving zombie. She is set to co-star in Kiwi movie musical Daffodils. 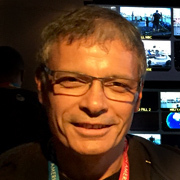 Wayne Leonard has directed some of the highest-rated live events on New Zealand television. Since leaving TVNZ in the early 2000s to go freelance, he has continued to be one of the country’s premiere live directors, and helmed TV series ranging from hit panel show Game of Two Halves to My Kitchen Rules. In 2013 his coverage of the America’s Cup in San Francisco was nominated for multiple Sports Emmy awards. Rachel Hunter is the girl from Glenfield who made the big time. Hunter won fame for her stellar career as an international supermodel, starting in the late 1980s. Her onscreen work has grown through the years with a range of television roles, from ice cream adverts to travel, talent and beauty shows — and a long list of acting credits ranging from thrillers to acclaimed dramas. 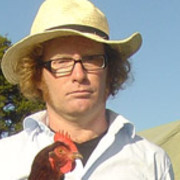 Te Radar (Andrew J Lumsden) is a writer and satirist with a habit for combining laughter and documentary-making: from intrepid journeying to stand-up comedy, to sustainable living shows Off the Radar and Radar's Patch. Gaylene Preston has been making feature films and documentaries with a distinctive New Zealand flavour and a strong social message for over 30 years. 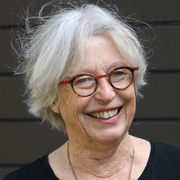 In 2001 she was the first filmmaker to be made a Laureate by the Arts Foundation, recognising her contribution to New Zealand film and television. 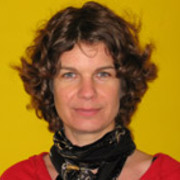 Celia Jaspers directed and produced award-winning documentary Primeval New Zealand for NHNZ. She got into television early — thanks to a tangled camera cable — and has stayed, developing a range of skills from editing to directing.